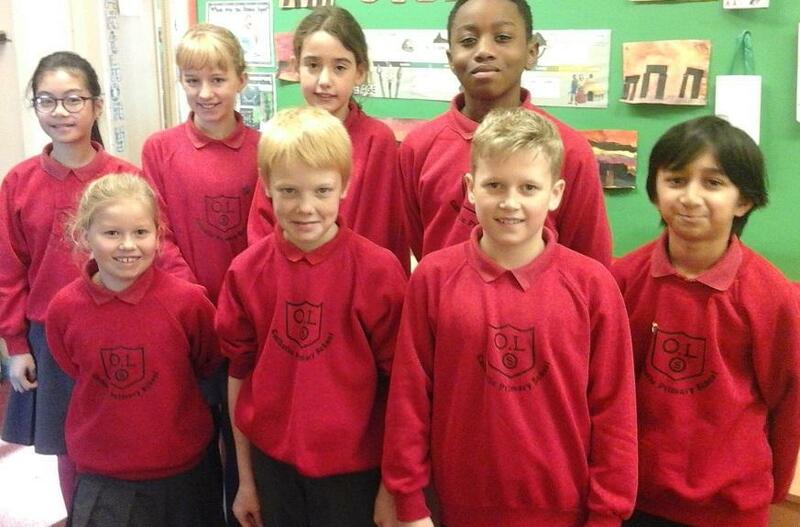 Our Chaplaincy Team would like to introduce themselves and tell you how they got involved with the Team, what they do, why they like being a member and what they would like the Team to do in the future. Jeslie: "To get on the Chaplaincy Team you have to write a really good letter to Mrs O'Dwyer and she chooses who gets to be part of the Team". Paul: "We help other people at school, in the community and other countries". Jaidon: "I enjoy organising events at school". Elinor: "We help other pupils with their problems and they can come to us for help". Orlaith: "We organise things for charity, like CHALK where people bring in presents for those who don't have any". Chelsea: "We have made Christmas Cards for people in care homes". Bunty: "I'd like to organise a Bring and Buy sale to raise money for charity". Daisy: "When we go to church we get to take the bread and wine up to the altar". Orlaith, one of the school's Chaplaincy Team wrote to Mrs Manning suggesting that school might like to support the CHALK appeal. This is where families buy an extra present for a family in need. When she shared her idea with other members of the Chaplaincy Team who agreed it was a lovely idea and they talked to classes and put information on the Newsletter. 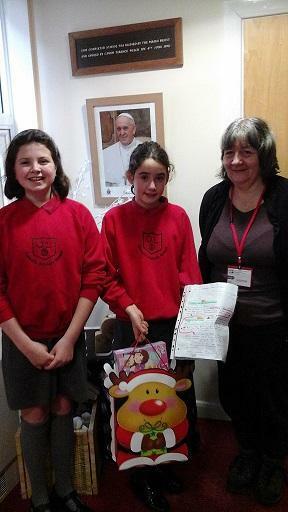 Our photograph taken just before Christmas, shows Orlaith and Imogen handing over the presents they collected to a member of CHALK.